For an ultra convenient and luxurious Birmingham airport hotel, look no further than the Hilton Garden Inn. Located on-site, just a 2-minute walk away from the terminal, it's the perfect stopover to get your trip off to a flying start. The hotel is brand new so you can expect clean and modern rooms and facilities throughout. For travellers who like to keep up with their fitness route, you'll be pleased to hear the there's a small, fully equipped gym, which is free for guests to use. Our customers rated Hilton Garden Inn Birmingham Airport on average 9/10 (4 reviews). 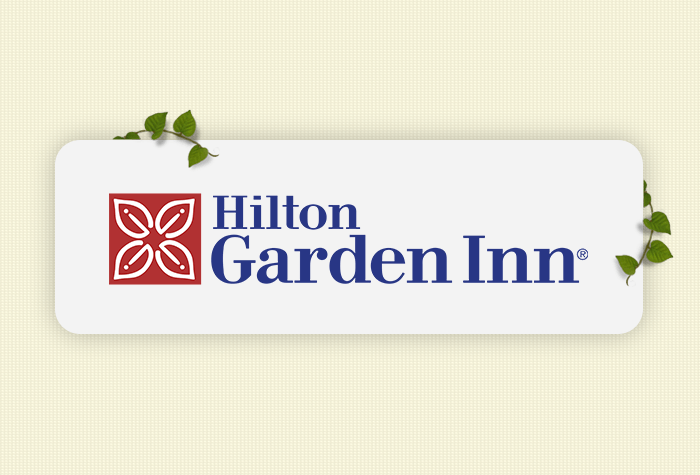 Read Hilton Garden Inn Birmingham Airport reviews. The Hilton Garden Inn is right outside the airport, a 2-minute walk from the terminal. If youre travelling by train, the nearest station is Birmingham International. From there, catch the free monorail to the airport and walk to the hotel. Check-in is from 3pm and check-out is by 12 noon. The hotel doesnt have its own car park, but you can use the Multi Storey car park opposite if you need to. Overnight parking there is £33. If you need parking for the duration of your trip, search our hotel and parking packages instead. This hotel is brand new, so all rooms are fresh, modern and soundproofed. High-speed wifi is free in rooms and throughout the hotel. You can request an accessible room once you have confirmed your booking. Odyssey Bistro offers a range of classic dishes. Vegan, gluten-free and dairy-free guests are catered for. Theres also a separate menu for kids. Breakfast is an English and continental buffet including a choice of eggs, omelette station and even a waffle machine. Its served in Odyssey Bistro and costs £9.95 when you book it at check-in, or £14.95 on the day. Served 5.30am - 10am daily. Theres a small, fully equipped gym for guests to use. Disabled facilities The hotel is suitable for customers with limited mobility. There are lifts to all floors, accessible public areas and service dogs are allowed. Accessible rooms also include hearing loops, grab rails and roll in showers. You can request an accessible room once you have confirmed your booking. Make your way to the hotel. The hotel doesnt have its own car park, but you can use the Multi Storey car park opposite if you need to. Overnight parking is £33. If youre travelling by train, hop on the free monorail to the airport and walk to the hotel. Your booking confirmation will have directions and a postcode for satnavs. When youre ready to leave take the 2-minute stroll to the terminal.